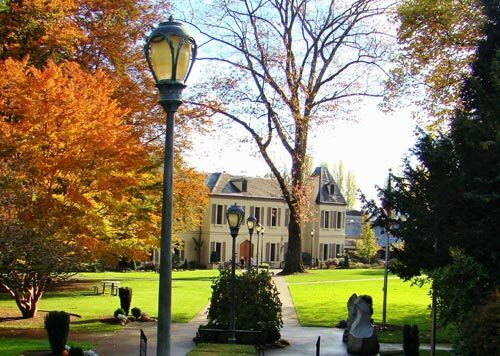 The Chateau St. Michelle Winery in Woodinville is on a 105 acre wooded estate and is the former Stimson Mansion grounds. The grounds themselves are worth the visit. Stroll around flowerbeds and tree collections, find the trout hatchery, perhaps see a peacock, and take a tour of the Winery. Afterwards enjoy a lesson from wine experts on properly tasting wines and do comparisons, sampling their award winning wines. 100 of the 800 + Washington State Wineries have made their home in Woodinville, just 45 minutes from Seattle. We also visit Patterson Cellars and Tefft Cellars on this tour. Both make wonderful wines, with unique tasting room atmospheres to enjoy. Fresh Air, Sunshine and Great Wines! We travel to Yakima Valley where some of the best wine grapes in Washington are grown. Enjoy this change of scenery! During the journey sample great snacks and visit 3 wineries with wine tasting and food provided. Take a Winery tour at one of the facilities and view the vinification process.You'll also have a Vineyard tour, for the horticultural side of the wine making process. A Very Enjoyable Day, Bring a Friend! $339.00 per person ~ Minimum 2 ppl.